Donald Trump wants to cut America’s trade deficit. But the U.S. posted a record goods shortfall in December. The president’s tax cuts are stoking the country’s appetite for imports more powerfully than his tariffs can restrain it – while rapidly running up a fiscal deficit, too. 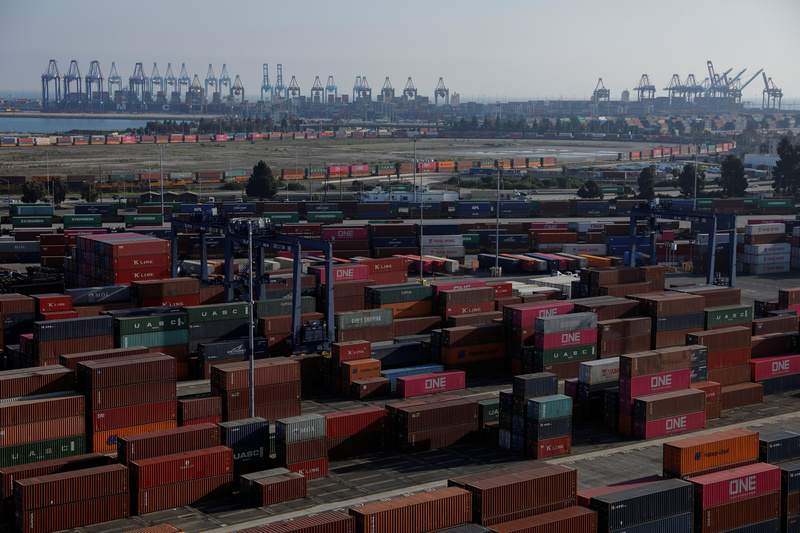 Shipping containers are pictured at Yusen Terminals (YTI) on Terminal Island at the Port of Los Angeles in Los Angeles, California, U.S., January 30, 2019. The United States’ goods and services trade deficit widened to $60 billion in December, an increase of 19 percent from the previous month. Exports declined by 1.9 percent from the preceding month while imports increased by 2.1 percent. The deficit for all of 2018 increased to $621 billion, 12 percent larger than the figure for 2017. The deficit for trade in goods alone was a record $82 billion in December, compared with $73 billion in November. The goods deficit with China was $39 billion in December, an increase of $3 billion from November, and $419 billion for all of 2018, an increase of $44 billion from the previous year.